Desc: 14 kt. 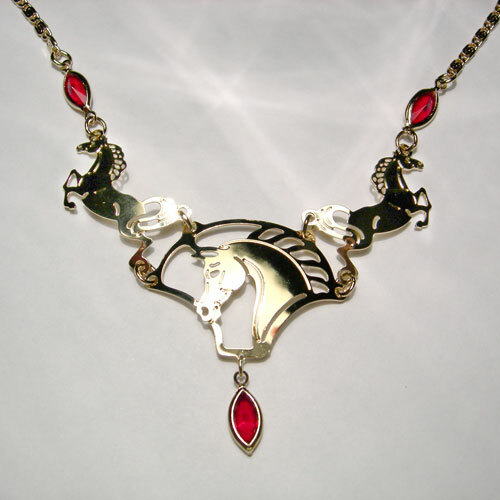 gold plated necklace with a three horse pendant. Three marquise shaped red crystals are bezel set at the front. One red crystal is mounted on the chain dangle at the back of the necklace with the lobster claw clasp. Also available in Rhodium plating and with blue or green crystals (contact us for details).